Every year, more than 33,000 seniors become victims of physical, emotional, sexual, mental and financial abuse or abandonment in the state of Maine. Unfortunately, many elderly senior citizens in the state become victims of financial fraud schemes by con artists impersonating high-ranking officials. While elder abuse occurs in nursing facilities, assisted living homes, hospitals or other medical environments, often times, family members perpetrate the abuse on a “loved one.” Because of that, victims are often extremely hesitant to ask for help. This is important because many elders are vulnerable and unable to protect themselves without assistance. Senior citizens tend to be the most vulnerable individuals and often less likely to complain when being mistreated, abused or neglected. Because of that, it is essential to take effective steps to protect the elderly, especially those at risk of suffering harm in a nursing facility caused by the neglectful or abusive actions of others. Nursing facilities are profit driven and often make administrative decisions to reduce quality control and standards of care in favor of meeting quotas and achieving shortsighted profit goals. As a result, they often cut back in wages and hours, creating unease in their workforce. An overworked or understaffed labor force in a nursing home can easily produce neglect, mistreatment or abuse directed specifically on the individuals their paid to protect. Protecting the individual requires more than just placing them in a good nursing facility that provides high standards of care. It is essential that family members and friends maintain a vigilant eye on the facility and look for any signs of neglect or abuse that could cause harm to the resident. 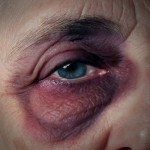 Are the development of bed sores at a nursing home considered to be a form of nursing home abuse?